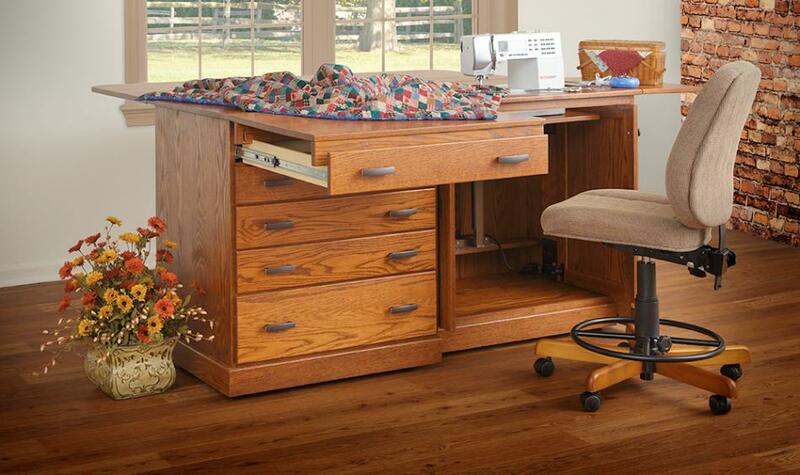 Sewing Center II (Model 820) is the perfect design for those who want their sewing machine and serger within arm's reach while sewing. 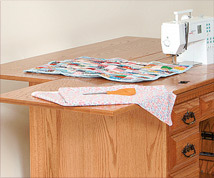 While similar in size to our Sewing Center, the Sewing Center II has some unique characteristics. 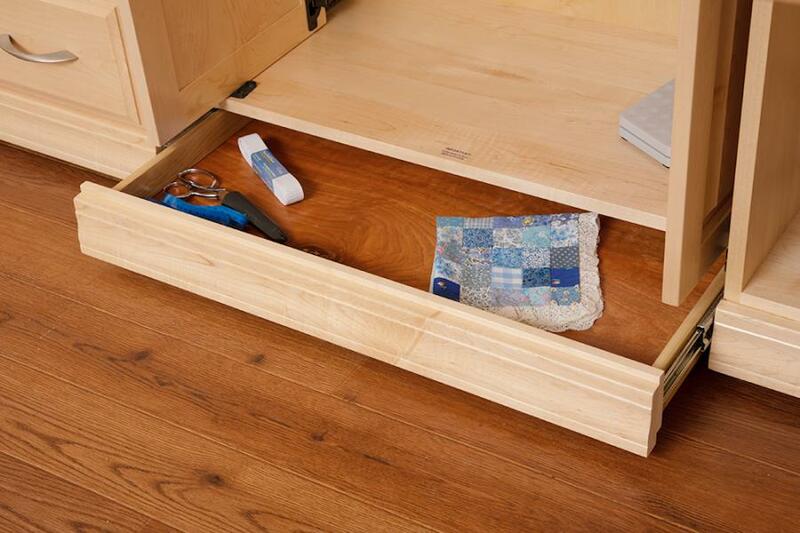 Note the storage design for the serger. 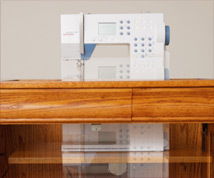 We built the serger its own compartment with a manual lift that lets you store it away behind a closed door. 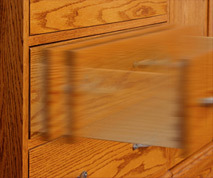 We also offer an upgrade to a soft close lift mechanism that makes it even easier to raise and lower your machine. 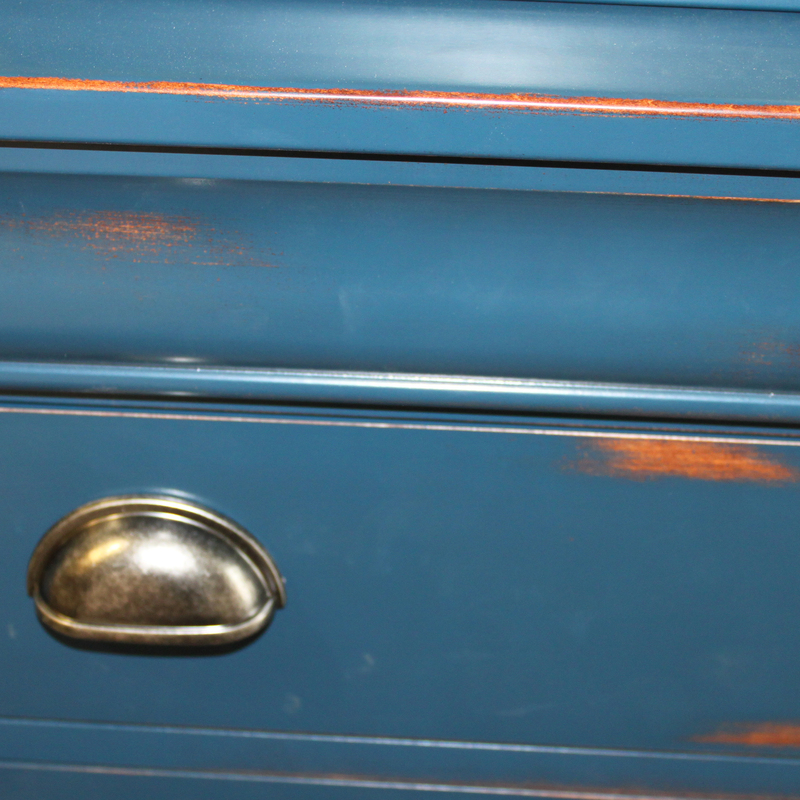 Click on the first photo in the “Upgrade Options” section below to see a video of how soft close works. 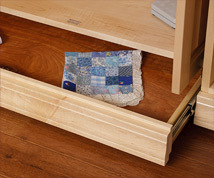 Instead of false front drawers like the Sewing Center, the Sewing Center II has a tip-out try in the front. 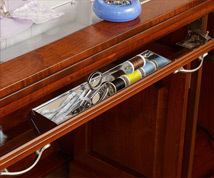 Here’s the perfect place to keep pins, a small scissors for clipping threads, or a measuring tape handy while you sew. 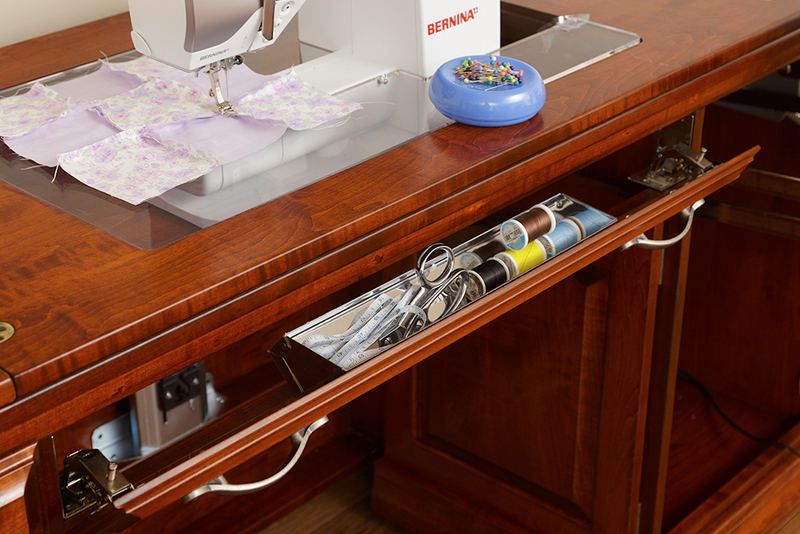 The Sewing Center II fits sewing machines up to 24” long. 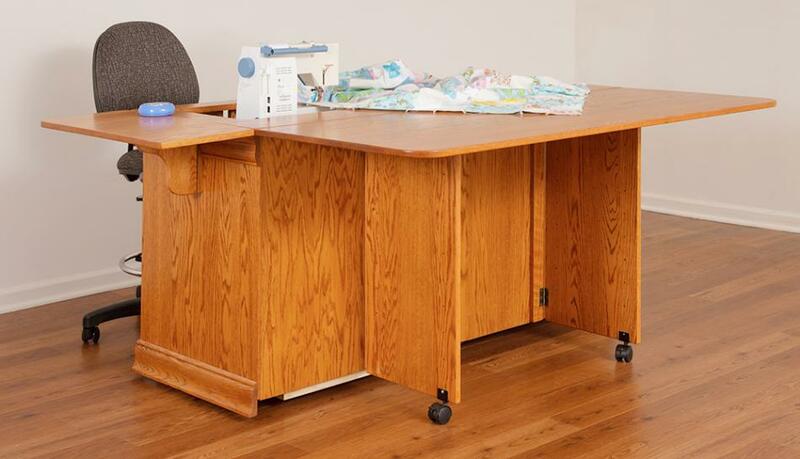 A wing out the side gives you an extra 19” of work space. 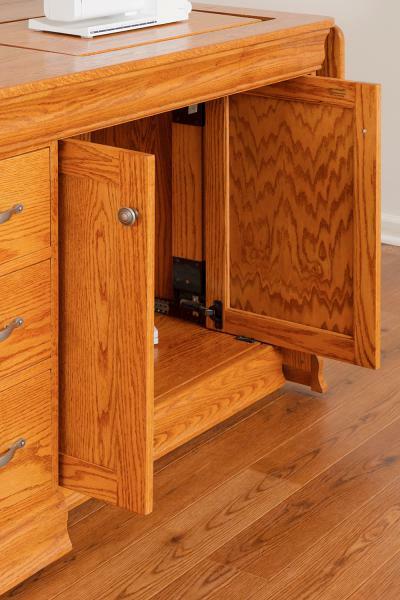 Are you a tall person who finds it hard to get a sewing cabinet high enough to avoid a backache while sewing? 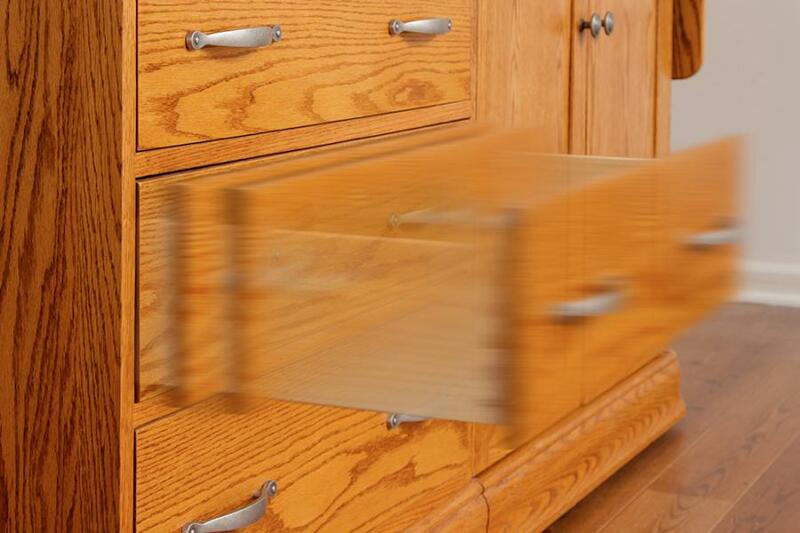 We give the option of adding to the height of your cabinet. 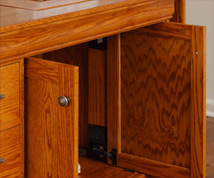 Ask us about other customizations that you’ve been dreaming of for your new hardwood sewing machine cabinet. 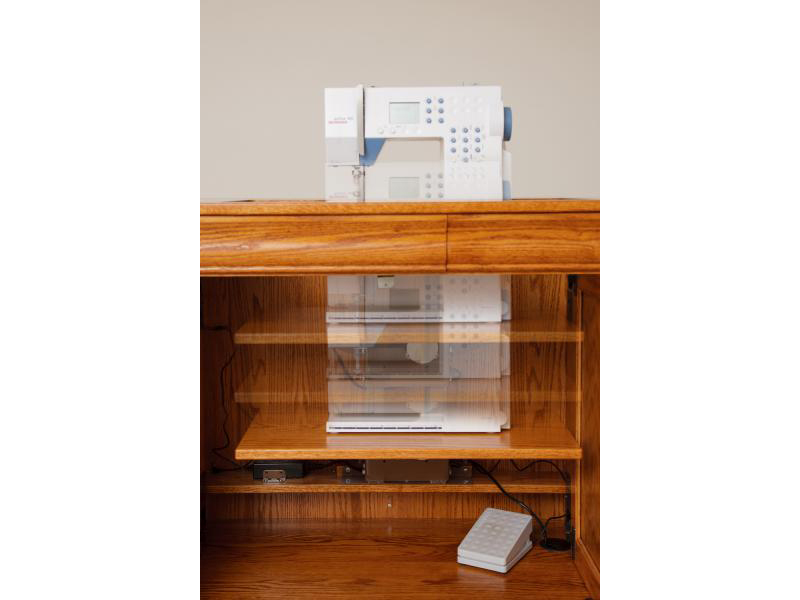 We work with you to build a product that you will be pleased to own! 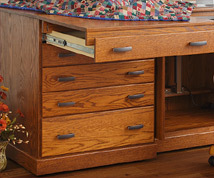 • Ask us about customization to fit your specific needs. Added Height - 33.5" or 35"